EXTRA Kwazvose frontman Francis "Franco Slomo" Dhaka (pictured) has refuted claims that he did not see eye to eye with his former boss Alick Macheso after many of his songs have been interpreted as jibes targeted at the latter. 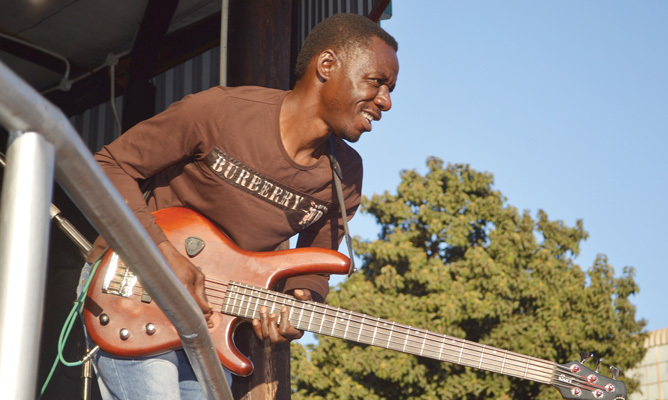 Slomo, who parted ways with Macheso in 2013 together with guitarist Noel Nyazanda, drummer Obert Gomba and chanter Jonas Kasamba to form Extra Kwazvose, however, told NewsDay Life & Style that his songs were based on ordinary people's day-to-day lives. "I have no beef with Mudhara Macheso. I have chosen to be an independent musician. Some came with me, but decided to re-join him, but I keep soldiering on, although my music is misinterpreted by many, especially the track Muvengi Muvengi," he said. "I did not refer to Macheso, but this is our day-to-day experience."